MYRTLE BEACH, SC (WMBF) – Intense winds from Tropical Storm Irma that impacted the Grand Strand on Monday made landing impossible for one airplane that attempted to touch down at Myrtle Beach International Airport. 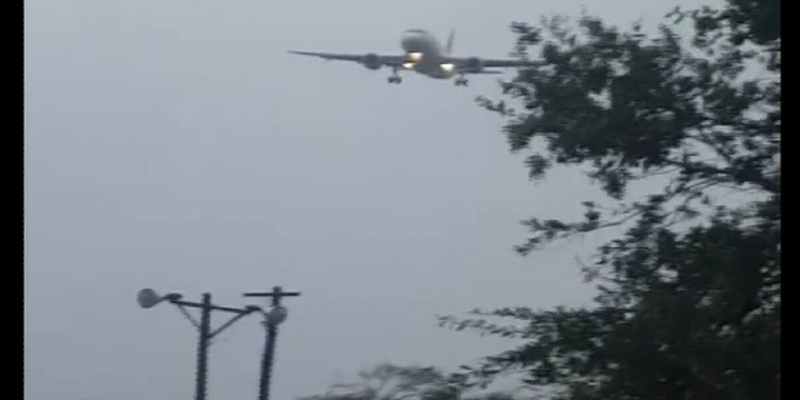 Viewer-submitted footage from Christopher and Malgorzata "Maggie" Rosafort shows an Allegiant plane drifting off course due to the sheer force of the winds. "It was pretty intense," said Christopher Rosafort, who added he filmed the video around 12 p.m. at the Midway Par 3 golf course off U.S. 17 Business. According to Rosafort, an American Airlines plane was able to land prior to the next two planes, which he said both had to about because of the wind speeds. "The pilots did their best," Rosafort said. Kirk Lovell, spokesperson for the Horry County Department of Airports, said there were multiple delays and cancellations throughout the day Monday at MYR, as well as a couple of flights that were diverted. He added that some planes which attempted to land and couldn't continued on to another airport.